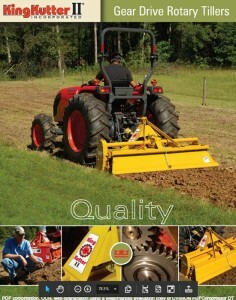 Professional gear drive rotary hoe, 6 tines per flange, slip clutch on PTO shaft. 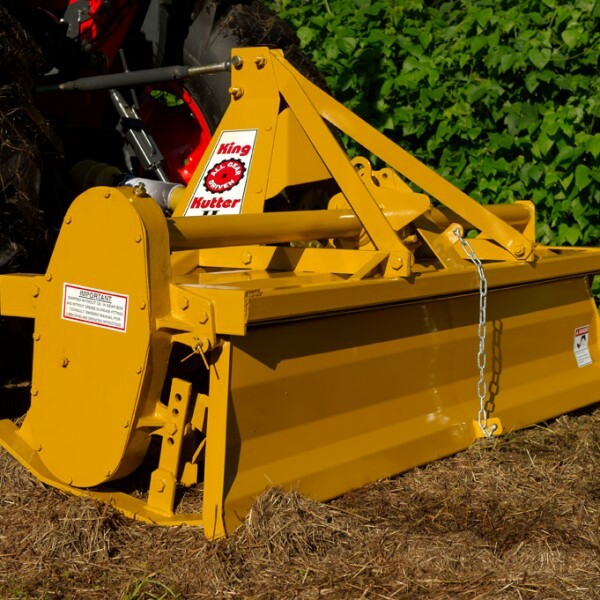 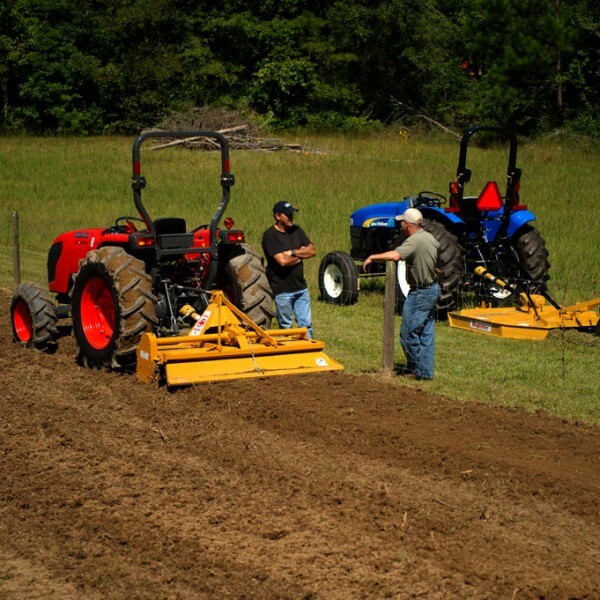 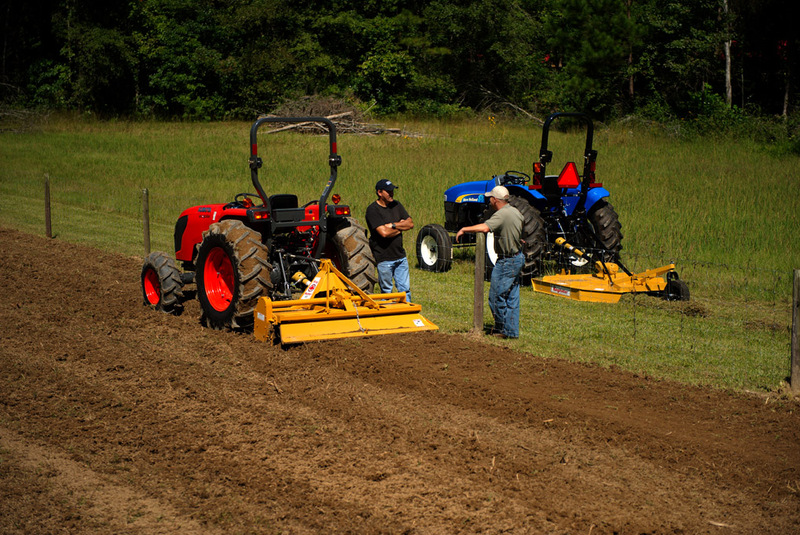 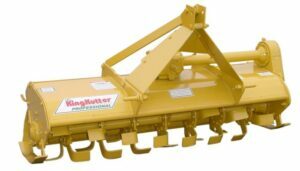 Ideal for preparation of seed beds, renovation of pastures, orchards, vineyards and mulching-in cover crops and stubble. 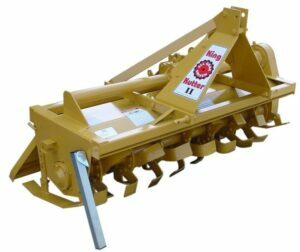 With 6 tines per flange, they provide a uniform mixture throughout cultivated depth and produce loose textured soil that holds moisture and reduces erosion. 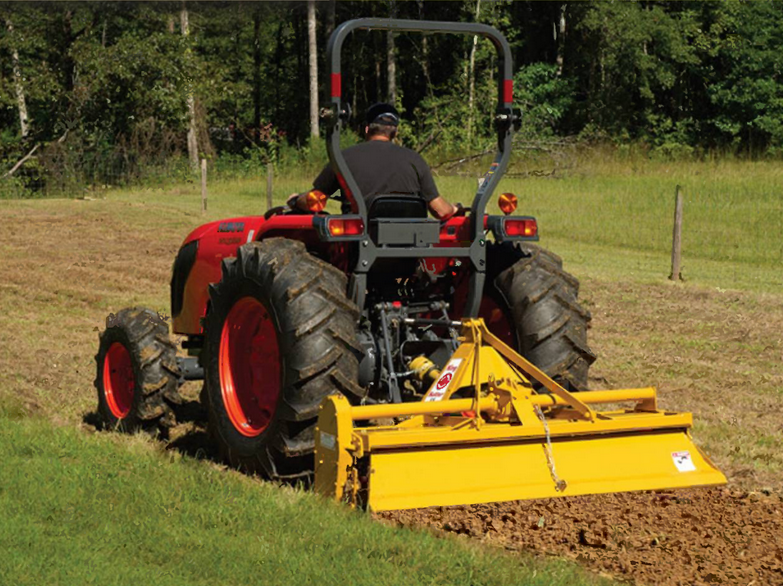 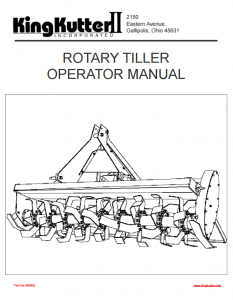 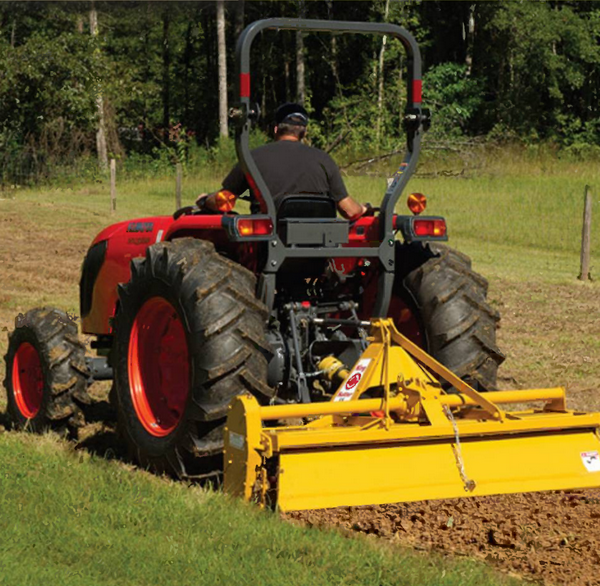 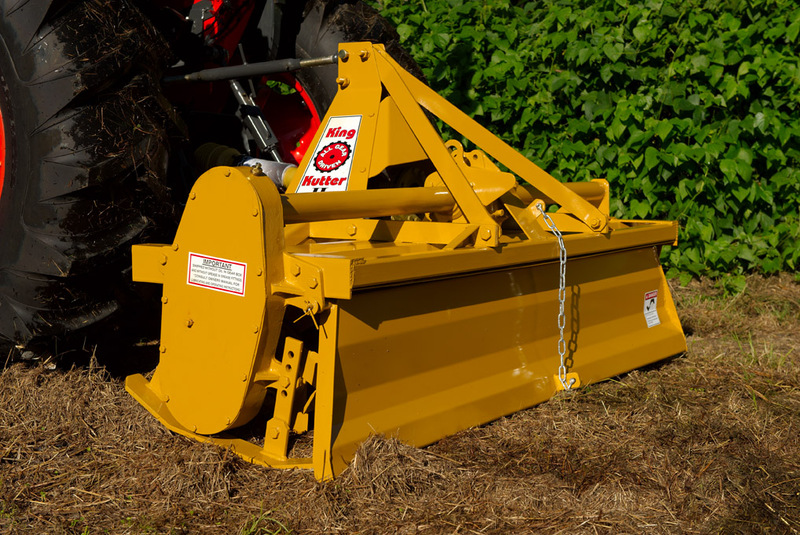 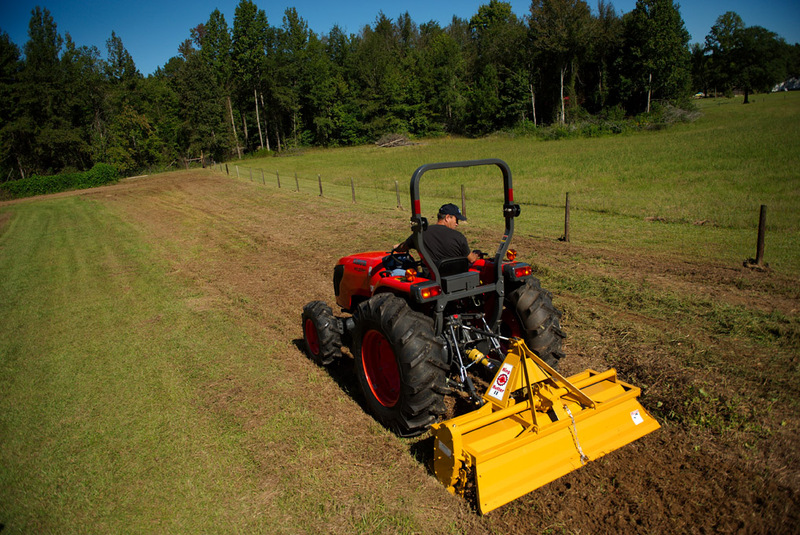 This Category 1 tiller includes a PTO shaft with heavy duty slip clutch. 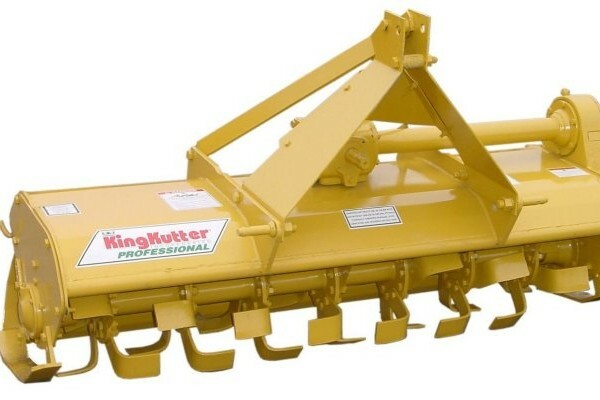 Available in 4, 5 and 6 ft models. 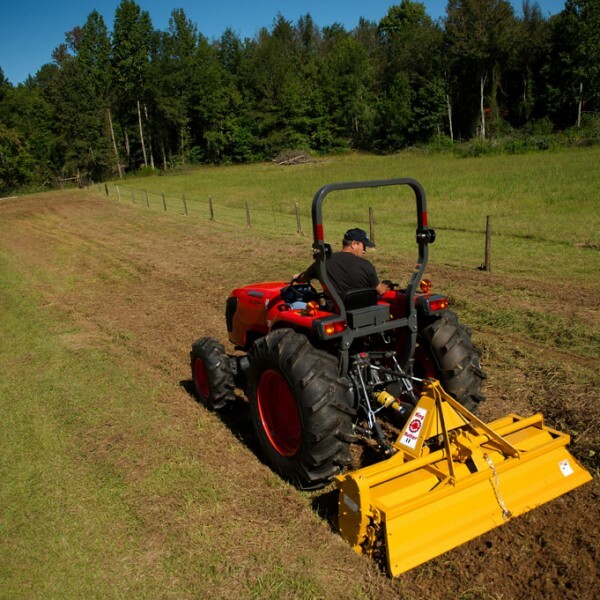 The 4 ft model is offset to eliminate tire tracks.